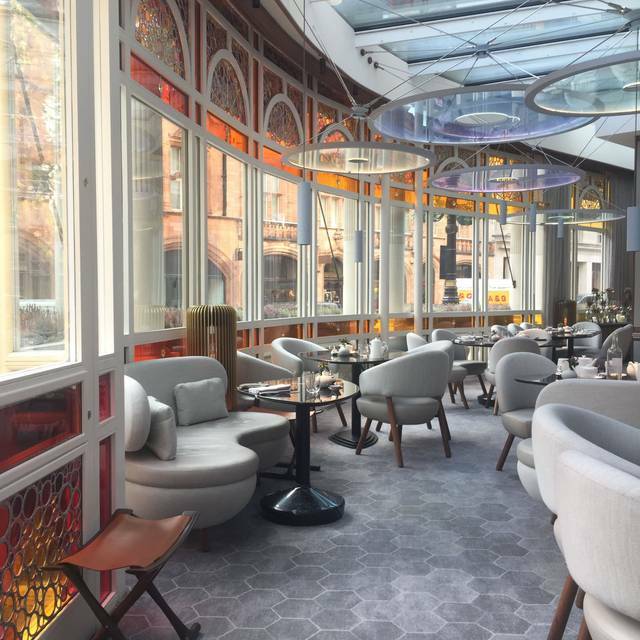 World-renowned chef Jean-Georges Vongerichten has opened his eponymous restaurant, Jean-Georges at The Connaught, this summer. 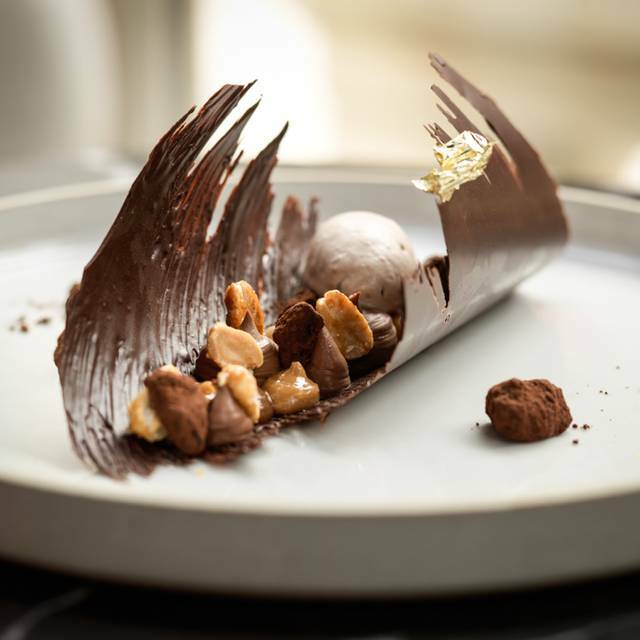 Overlooking fashionable Mount Street in the heart of Mayfair, the restaurant will offer all-hours, informal gourmet dining in a relaxed, contemporary neighbourhood setting. 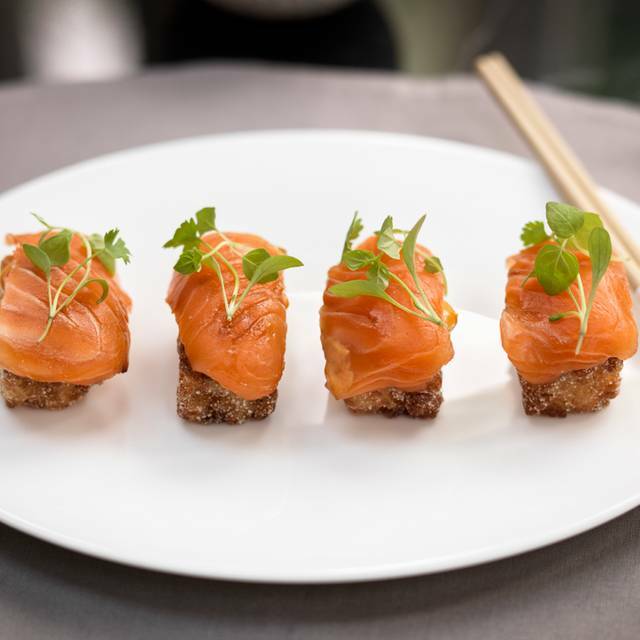 The eclectic, imaginative menus are inspired both by Jean-Georges’ experiences of the Far East and his signature use of South-east Asian flavours, whilst also featuring his distinctive take on British and Connaught classics, from fish and chips to traditional afternoon tea, influenced by his earlier working life and love of London. 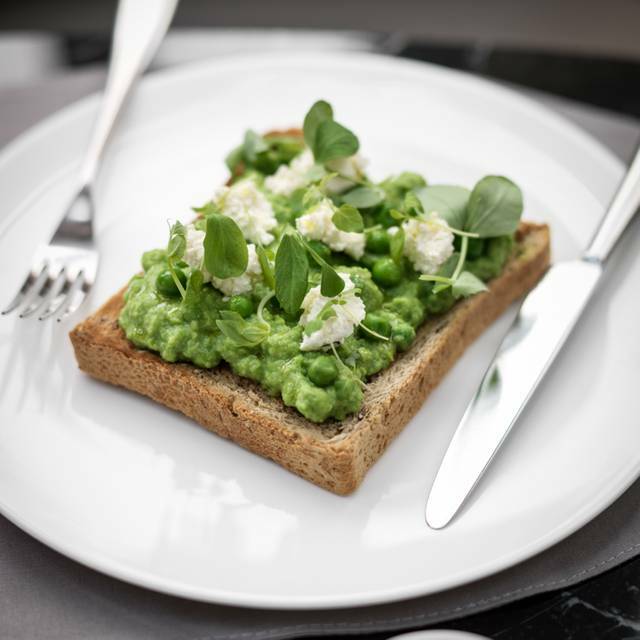 Sourcing the best of British ingredients, the menus will also reflect the simple farm-to-table, fresh-from-the-market approach long pioneered by Jean-Georges, and found at his restaurant at The Mark and ABC Kitchen in New York. Very good restaurant at the Connaught Hotel. I was a bit surprised when we arrived to be seated in what looked like the bar. But the chairs were comfortable and the lighting was much better than at the adjacent terrace section of the restaurant. The food was delicious, we had the tasting menu with seven beautifully presented and very tasty courses. Not a single one of them disappointed. Staff was friendly and professional. My red wine by the glass was even refilled without additional charge. Excellent service. Great menu and ambience although pricey. The food was substantially below average, and no effort was made to try to understand we why didn’t finish any of our meals. Very disappointing experience. Great place as always. Food and service were excellent. We did have a crying baby in the restaurant for 30mins, but apart from that, it was the highest quality. Went with a friend and really enjoyed it. Good food and wine but not cheap. Really difficult to find any bottle of wine under £50 a bottle so as long as you know what you are getting into it is fine. Nice venue as you have a choice of two bars and nice setting onto s square. Excellent experience every time; the staff is impeccable and the food is delightful. I go often and they always recognize me and treat me like a celebrity. I love this place and the folks who are part of its team! This was our 1st visit to this restaurant at the Connaught although we have been to Helene Darroze a few times. We were seated at a table which was in a slightly odd place and which obstructed the exit of guests on a nearby table so, sensing our unease, the staff offered to move us to a table near the window which was much better. The service was excellent and while the menu appears to be at the more casual end of the spectrum, do not mistake that for any reduction in quality - the food was really lovely. I had the kale salad followed by the turbot while my partner has the tuna tartare followed by the sea bass (which we learned was the signature dish). Unusually for us we followed with a dessert (rice pudding and chocolate cake). The rice pudding was light and delicious - it is a shame that it is not a permanent feature on the menu. The wine list is very pricey but very good. I haven't seen Leeuwin Estate Art Series for a while so we had a bottle of that which was very nice (but expensive). Overall a very lovely dinner and a new addition to our list of local favourites. We have stayed here a lot in the last couple of years And had s Greta stay and great dinner but felt last nights dining experience was rushed and below par. Unfortunately this visit was well below the standard we have previously encountered when Ben was the restaurant manager. It started off with the waitress not speaking English to the level that one would expect to have in a London restaurant and was followed by finding a piece of hair in my son’s dessert. The manager came over to apologies but unfortunately you don’t expect this at a 5-star world class establishment and merely saying sorry is not enough to warrant us coming back. Shame really as the food is very good just service levels have dipped recently. Excellent food and beautiful setting in this ever wonderful hotel. Wonderful on every front!!! Excellent food! Superior customer service!! And terrific ambience!! 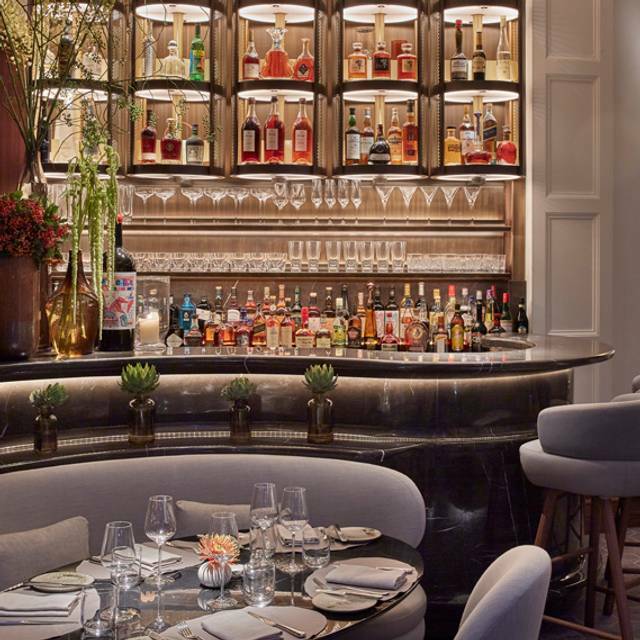 Nice place to have a special occasion lunch or dinner, however, it is too expensive and there are better value for money restaurants in Mayfair. I m very usual to this place but the service Reveals unstable ..
it s a pity ..! The food is so nice .. I came here with my brother. Both of our entrees had things wrong with them. His wagyu filet wasn't seasoned and not flavorful. My sirloin steak did not have any of the fat rendered off and was chewy. Not to mention that it felt like we were being rushed out the door with how fast the dishes were coming out. I would be cautious about coming here in the future. The only redeeming factor of the meal was the chocolate cake. It was a date night for my wife and I. Perfect place - food, ambiance and staff. Jean-Georges restaurants are always enjoyable; however, the Connaught provides an especially nice ambiance - the food and service was exceptional. Great late-night and post-theatre find. Excellent food and service. Suggest changing chairs and tables— not very comfortable. Having read other reviews we felt this was disappointing, we went for lunch and the starters were for the most part were delicious. However two of our group had a shrimp salad as the main course which was dull and boring - seriously can the chef not think up a better one. It came with two dressings - equally unimaginative. Be prepared for very expensive wines. Two courses and 1 dessert between four came to over £300 - better restaurants in London for an awful lot less. So incredibly lucky that this is my neighbourhood “local”. Attentive service, beautiful and comfortable seating areas and the menu choices offer something for everyone’s taste. Love this very welcome addition to Mayfair. Food truly delicious. Service was initially poor. To say we were ignored is accurate. However once we got their attention by DEMANDING service it improved to what would be expected. Apologies and great service followed. It's nice that this Jean-Georges can be treated casually and isn't all pomp and circumstance. The setting is very nice, and the location great. Plus there is quite a bit to choose form on the menu. I wanted nearly all the starters! 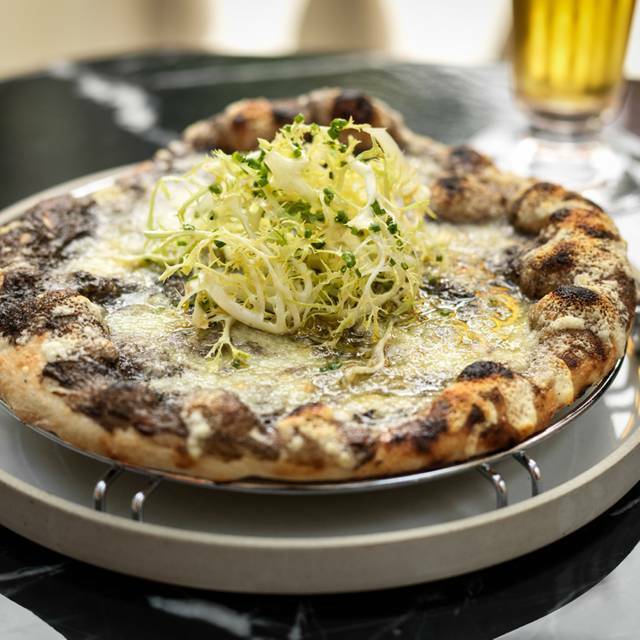 If you are going for dinner however best to book from 8pm onwards. They seem to do Afternoon Tea very late and so the restaurant is full of Afternoon Tea patrons until about 7:30 who all leave and then you are left in an empty restaurant. They are still getting to grips with their service style I would say as well. Delicious and creative tasting menu. Ben has a watchful eye on the service and ensures everything is running smoothly. Food quality & service unrivalled in London, so good that i'm thinking of moving my loyal from the Savoy over to The Connaught. 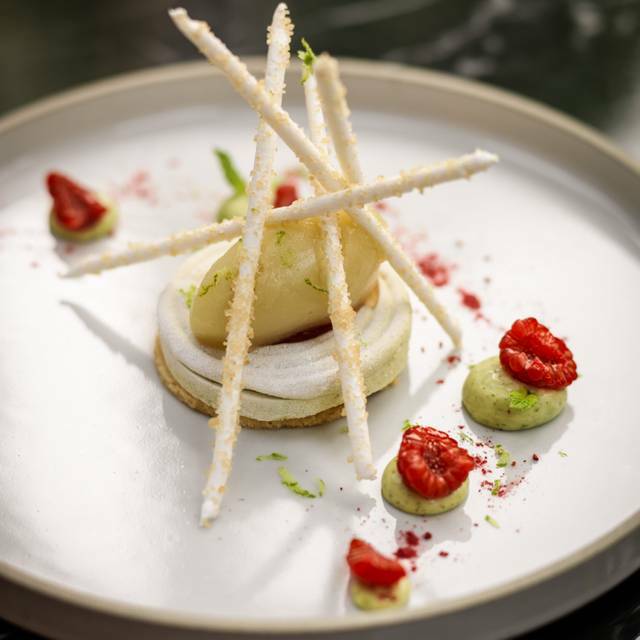 Desserts are superlative and the ambience is vibrant yet casual. Will be back soon. Service is very slow and not good. Good to see some of the chef s classics on the menu : egg caviar, shrimp salad with champagne dressing. Kale salad is boring , the Mark in New York does it better. Not a lot to choose from the menu, the choice of champagne by glass is not good. They used to have Deutz champagne by glass, but even that one disappeared from the list. If you request a glass of fresh house champagne, you will discover that it was open a long time ago. We were very late for our breakfast reservation yet staff were extremely friendly and accommodating, didn’t even flutter an eye lid! 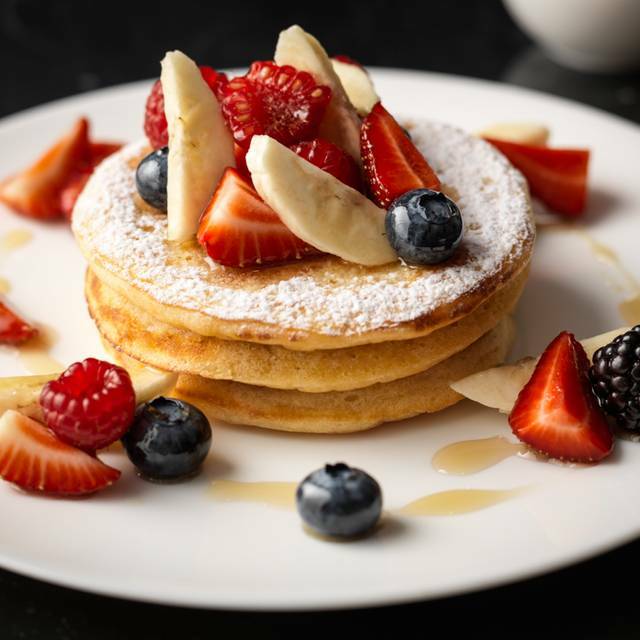 Food was fantastic, it was so good that we even ordered pancakes to see what the chef would be capable of producing...it was sooooo good, we felt guilty not being able to finish it. As previously mentioned, service was excellent, staff were wonderful and high spirited, I even had a staff member do a little dance/shimmy for me! The lovely attendant in the ladies made my morning that extra special. A lot of interesting dishes that I did not get the opportunity to try, I will definitely be back! 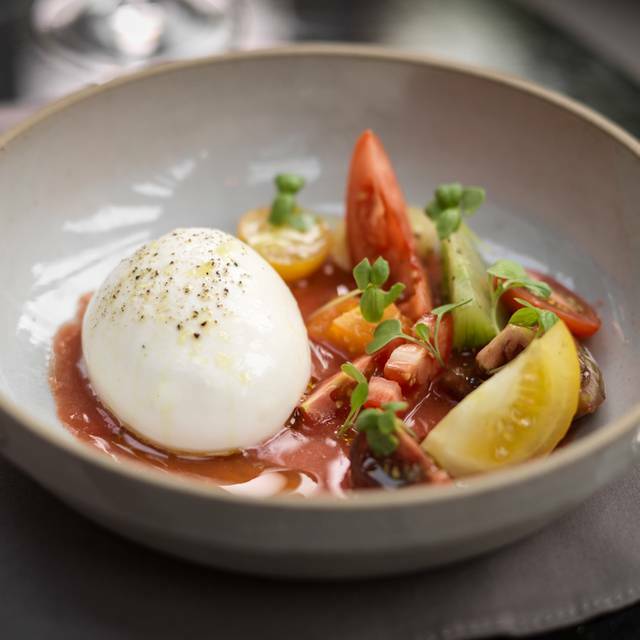 We have enjoyed Jean-Georges in New York and we were excited to try the London restaurant. Dinner was superb! Service was great; the wine list contained wines we knew and liked. All-in-all, it was a treat. Went for breakfast, disappointing really, although I ordered fried eggs, dosa and bagel with cream cheese. Quite straight forward but it wasn’t tasty at all. I wouldn’t recommend it at all.